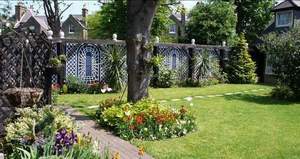 Situated in attractive tree-lined Putney, moments from Wandsworth and the River Thames. 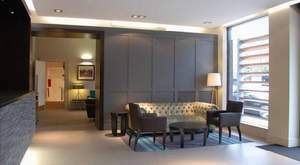 The Lodge Hotel provides an ideal base in south west London for business and pleasure. 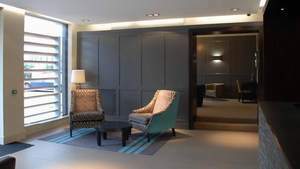 Easily accessed by both road and tube, the hotel offers 60 elegantly appointed en-suite bedrooms, the stylish Bar 52 and lounge, and modern conference facilities. 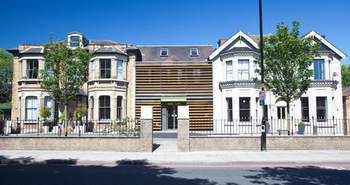 The Lodge Hotel is 2 minutes walk from East Putney tube station and offers free parking to all guests. Guests can now enjoy free Wi-Fi connectivity in all bedrooms and common areas, and all rooms are equipped with modern amenities. Best Western Lodge Hotel guests can also benefit from using the facilities at The Virgin Active Health Club in Putney for just £7.50 per person per day. The Virgin Active Health Club is located 5 minutes’ walk from the hotel and offers first class facilities including, state of the art gym and cardio equipment, steam rooms and saunas. 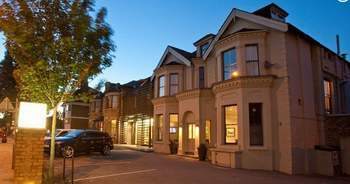 The Lodge Hotel is situated in the perfect South West London Location, moments from Richmond, Chelsea, Wimbledon, Fulham and Wandsworth, The Lodge Hotel in London offers the perfect blend of London’s City, shopping and suburbs. Our new luxury collection rooms are fitted to the highest standards. Interiors reflect a contemporary fresh feel with an understated blend of luxury textiles, leathers and soft tones. The bedrooms feature leather king size beds, plasma-screen satellite TV, air conditioning, laptop safes, fridges and contemporary furniture, along with all the modern amenities expected in a first class hotel. Bathrooms are in solid extra large porcelain tiles, Phillippe Starke fittings and either double ended tubs or walk-in Waterfall showers. Executive rooms are elegant, spacious rooms, ideal for the individual traveller or couple. Garden facing rooms can be requested. Facilities include; ensuite bathroom, plasma-screen satellite TV, radio alarm, telephone, desk, full length mirror, modem point, Wi-Fi connectivity, iron, trouser press and tea & coffee. 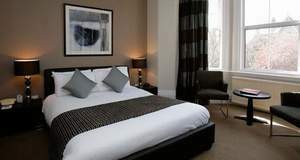 All standard double rooms have hypoallergenic duvets and pillows. Facilities include; ensuite bathroom, plasma-screen satellite TV, radio alarm, telephone, desk, full length mirror, modem point, Wi-Fi connectivity, iron and tea & coffee. These are large spacious rooms, sleeping up to four adults. All rooms have hypoallergenic duvets and pillows as well as all the modern amenities expected by today’s discerning traveller. Facilities include: ensuite bathroom, TV, radio alarm, telephone, desk, full length mirror, modem point, Wi-Fi connectivity, iron, tea and coffee. 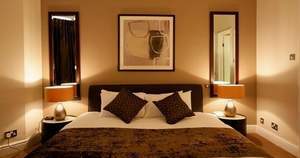 At the Lodge Hotel Putney we pride ourselves in offering a superior level of accommodation. Our rooms are divided into three categories; Standard, Executive and Luxury. Most of our rooms are doubles, ideal for the individual traveller or couples, however you may also choose from a selection of twin or family rooms (sleeping up to 4 persons). We are also equipped to cater for those with disabilities. Several of our rooms have air-conditioning; please ask at reception for availability. 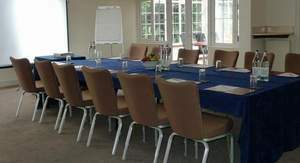 The Lodge Hotel London is the ideal venue for your conference. Not only does our central London location lend itself to business meetings, seminars and events, but our conference & banqueting suites can accommodate up to 90 delegates. Each of our conference suites are equipped with the latest hi-tech facilities and are wi-fi enabled, allowing you to conduct hassle-free business. 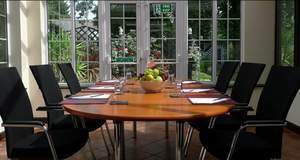 The Lodge Hotel also provides an excellent day and 24 hour delegate package including various dining options, refreshments, presentation equipment and accommodation.